Elaine Francel, Ed.D is an adjunct Professor in the College of Education at Brenau University and is the founder of Education@Work, LLC. Her career began 22 years ago as a high school teacher, and today she still revels in facilitating students’ success in learning. Elaine regards learning as an individual endeavor made successful through quality coaching and a focus on the ability to manage the learning process. She believes strongly that executive function skills are fundamental to student confidence, perseverance, and ultimately their achievements. This DNF / IDA-GA / DDGA / Understood Outreach Event is free and open to the public. Check-in will begin at 6:45 p.m. Program will start at 7:00 p.m. Please let others know about this event. Seating is limited so please use the link provided to register. This is a FREE event, but you must reserve your seat to attend. Ten Fun Ways to Learn all Summer Long! Summer provides an excellent opportunity to work with your kids -- boosting their skills and preventing the dreaded (and very real) summer slide. But mention summer learning, and most parents envision grumbling kids and workbooks at the kitchen table — enough to make them call it quits before even beginning. Join Jennifer Hasser, M.Ed., for this engaging workshop, where you will learn ten different activities that you can use all summer long to reinforce literacy concepts with your children. Whether you are at the pool, in the backyard, or on a road trip, Jennifer will show you how to make learning fun. Activities will be presented in a way that will allow you to adjust them to your child’s age and ability level. Jennifer Hasser, M.Ed. is a nationally recognized advocate, author, and trainer in the field of reading. Jennifer is the Founder and Executive Director of Syllables Learning Center, where she has helped thousands of students acquire language skills. She is also the Executive Director of Kendore Learning, an IDA and IMSLEC accredited training program for educators. Jennifer is a regular presenter at reading and dyslexia conferences and serves as an educational consultant to schools across the nation.  She was President of the International Dyslexia Association's Georgia Branch and is a founding member of Decoding Dyslexia Georgia.